Audi has announced that its entire model range in India will undergo a price hike. The prices of Audi India cars will be hiked by up to 4 per cent, with effect from April 1, 2018, the company has stated. This will lead to an increase ranging between Rs 1 lakh and Rs 9 lakh across various models. Audi India has stated that the increase is in line with the increase in customs duty announced in the Union Budget. According to Rahil Audi India head, Rahil Ansari, "The increase in customs duty and the introduction of social welfare surcharge in lieu of an education cess (which is higher than the erstwhile cess) in the Union Budget made the increase in price inevitable." He said that the company has tried to absorb the impact of the price increase in the customs duty and has minimised the price hike for its customers. 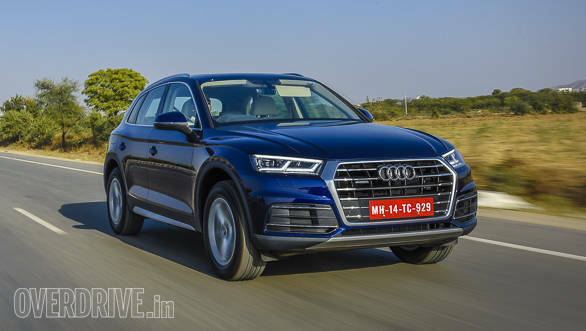 Ansari also stated that to minimise the impact of the price hike, Audi India is also offering various Audi Finance schemes as well as sales and service benefits to its customers. Audi recently launched its 2018 Q5 SUV in the country.